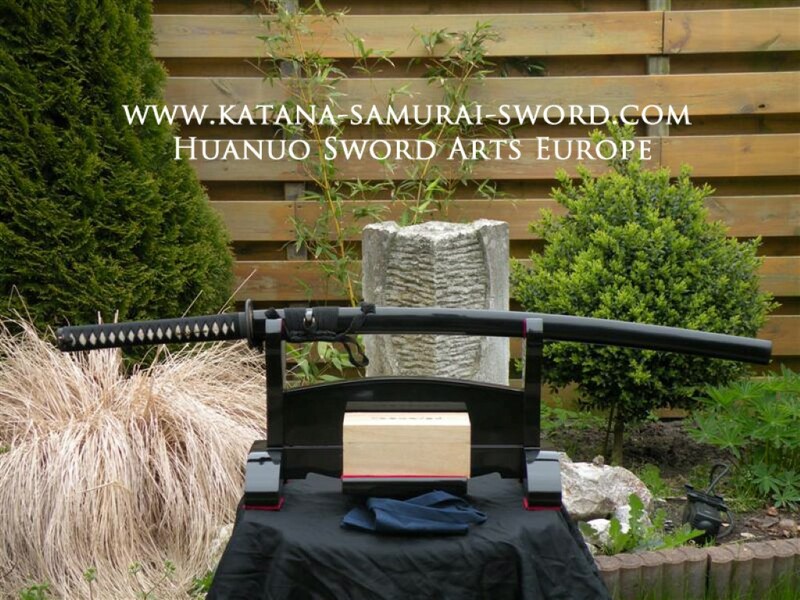 Due to a close cooperation with one of the best forges we now can introduce for the European Market this unique and High Quality katana. 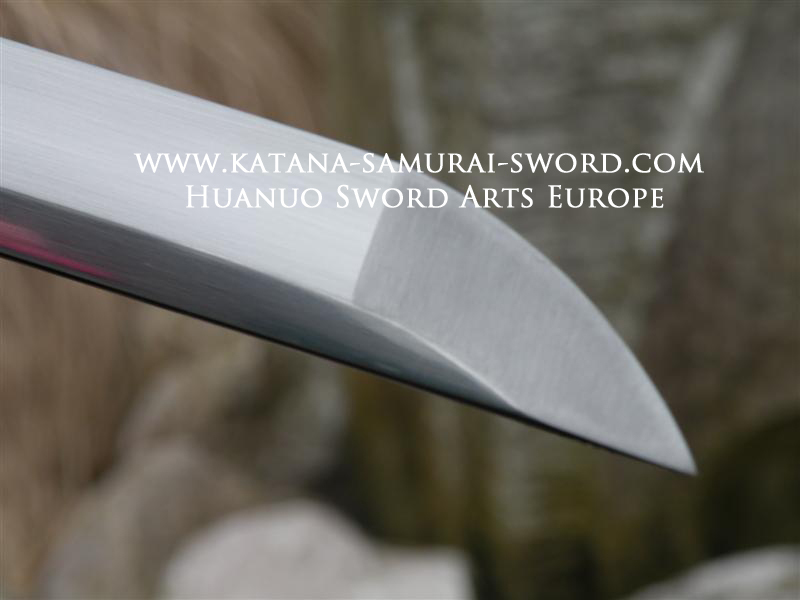 Huanuo uses the best raw materials for his own brand and they forge with the most sophisticated and proven techniques for the Huanuo blades. 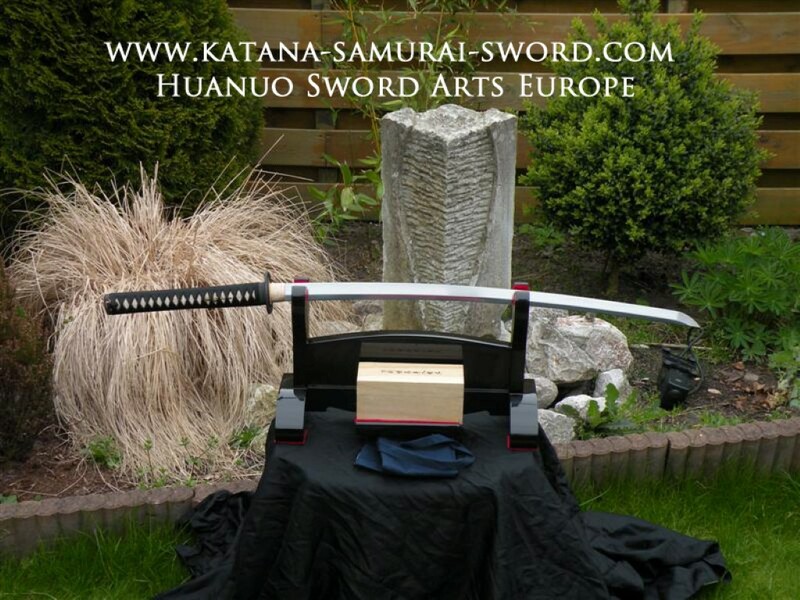 The blade is made of through-hardened High Carbon 1060 steel. 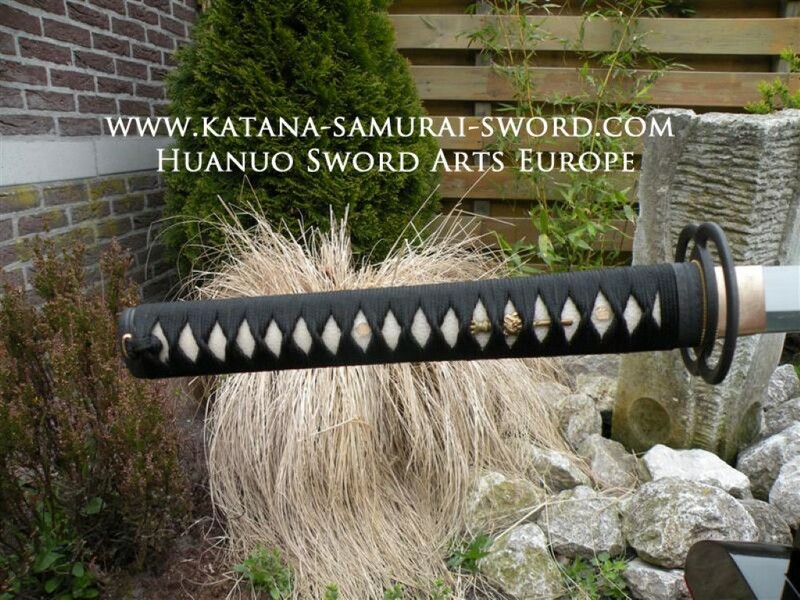 This 1060 is excellent for functional katanas when properly tempered. This steel is especially resilient to stress and will be merciful with an inferior technique. 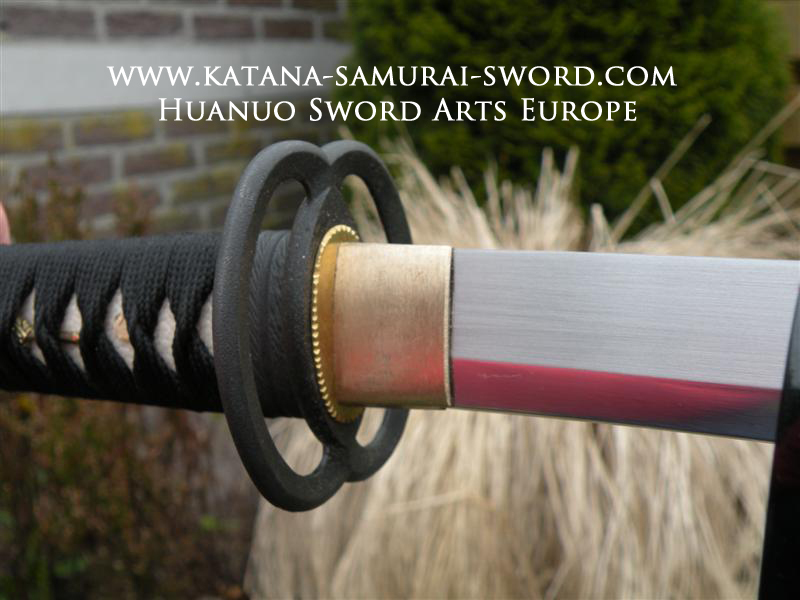 This steel is very durable and ideal for tameshigiri. 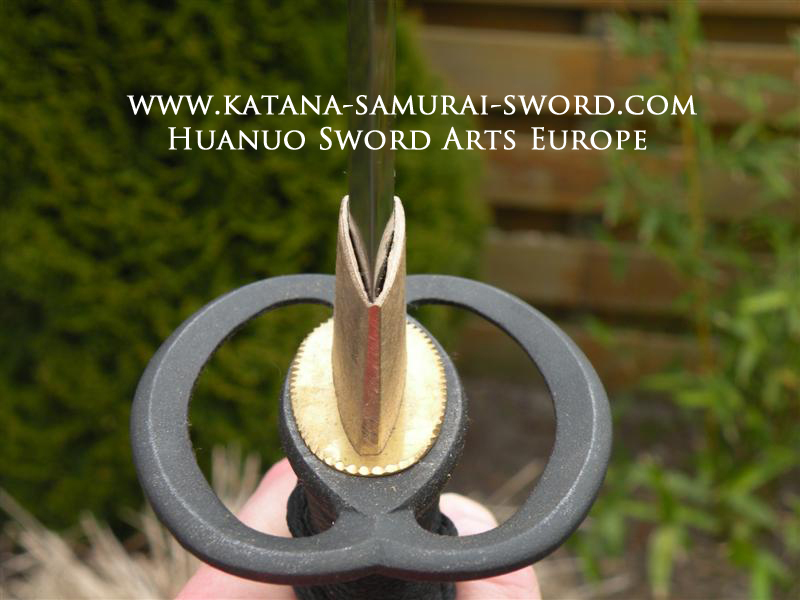 The blade is not differential hardened and shows no hamon. This blade has no Bo-Hi so it is solid and it will create more power while cutting a target. Also the blade will experience less resistance hitting a target and the cuts will be very clean with the right technique. 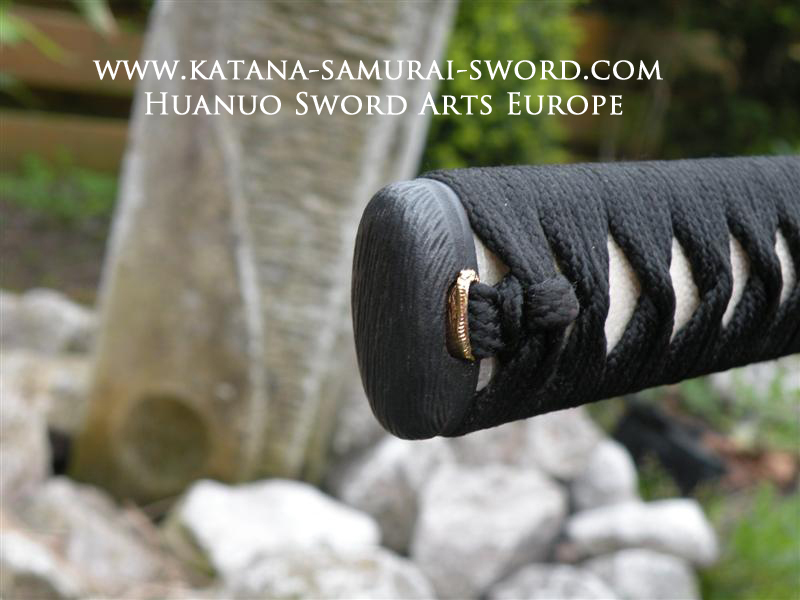 The Tsuka is covered with real white same (rayskin) and wrapped with Japanese Silk. For safety the tsuka has two bamboo pins (mekugi). The Tsuba features the Musashi Tsuba. Miyamoto Musashi, arguably the most famous swordmaster in Japanese history, fought more than 60 duels before retiring and writing his famous treatise on swordplay, the "Book of Five Rings". The Cherry blossom Menuki is made of copper. The Kashira and Fuchi are also made of blackened iron and match the Musashi Tsuba. The excellent blackened saya includes a nice Japanese Silk Sageo. Of course this katana comes with a nice sword bag. Nagasa or Blade: through-hardened 1060 Spring steel. 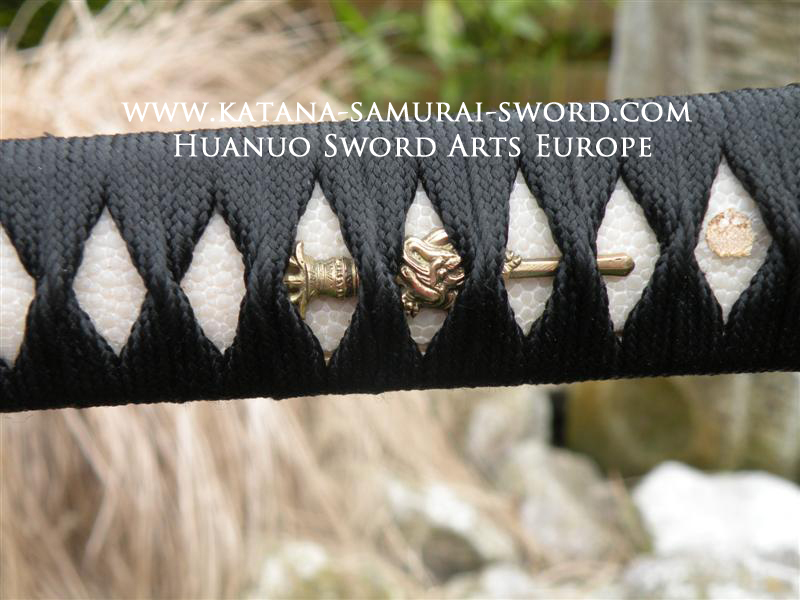 Each sword is handmade and unique so piece from piece will not look the same and may vary little.